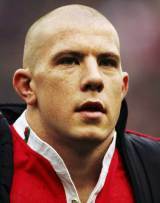 Wales prop John Yapp made his international debut as a replacement against England at the Millennium Stadium in 2005. He made four further replacement appearances as Wales secured the Grand Slam. Yapp had first appeared on the radar as a bullish 18-year-old for Cardiff RFC, making 17 appearances for the side in 2002. Graduating into the Blues regional setup after periods with Llantwit Major and Pontypridd, Yapp was soon involved in the Welsh setup. Following the 2005 Six Nations he made appearances on Wales' summer tour to North America and autumn international against Fiji, but missed out on the 2006 Six Nations. He won a further cap as a replacement against Argentina in Puerto Madryn in 2006, but then disappeared from the international stage until the 2008 autumn internationals, when he won a late call-up to Warren Gatland's squad. Under Gatland he continued to be used as a squad member, notably during the 2011 Six Nations following injuries to Gethin Jenkins and Adam Jones.